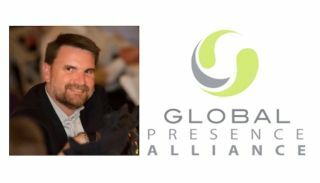 Whitlock’s vice president of technology, John Bailey, has been appointed to the board of directors of the Global Presence Alliance (GPA). The GPA was founded in 2008 with the goal of bringing a standardized, global delivery and support model for high-quality audio and video collaboration solutions to global enterprises. Bailey will start as a new board member, effective immediately, joining other leaders from Sharps Audio Visual, GMS, Asnet, ProAV, AV Media, and Absolut Technologies. He replaces outgoing board member and Whitlock executive vice president Julian Phillips, who moves into his role as president elect for InfoComm in 2017. Bailey will assume board responsibility for vendor strategy, leveraging his extensive Whitlock experience and relationships in this regard. The GPA is hosting its next strategic planning session on October 24-27 at its third and final summit, to be held in Dubai, where announcements will be made related to the expansion of its Accredited Vendor Program. A key focus for Bailey will be to build upon his efforts in furthering the GPA’s engagement with Microsoft as one of the leading organizations, and bringing the Microsoft Surface Hub and related Skype Room Systems to market in multiple countries across the globe. With his specialist expertise in new technologies and the future of work, Bailey has also accepted an appointment to the advisory board for the Digital Signage Expo for 2017.